Thanks very much for booking with us. You’re all set for the date and time listed below. Please double check the date, time, and address to make sure it’s correct. Please allow us a 1 hour window to deal with traffic, parking, and other surprises. Please note that refunds are not offered prior to a Re-Clean being accepted. A Re-Clean will only be completed within a 24 hours window from your date of service, otherwise it will be considered denied. No refund will be offered if a Re-Clean is denied. Because we reserve a time especially for you, please make any schedule changes 24 hrs before of your coming service time to avoid incurring a $50 cancellation fee. We appreciate your understanding. Billing PLEASE NOTE: A hold will be placed on your account (for authorization )in the amount of your total balance the evening PRIOR to your scheduled cleaning service. If your service is canceled for any reason, this hold will drop off within 2-5 days. THIS HOLD IS NOT A CHARGE. Charging is completed the day of your appointment and you will receive an invoice via email once this occurs. 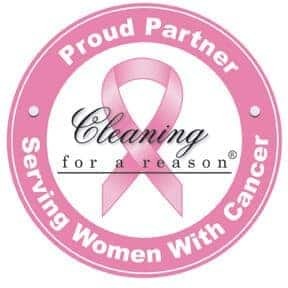 As always, thank you for choosing Maid Cleaning Nashville. Please let us know if we can assist you with anything further. Or Create an Account now if you don’t have one. Sign In to manage your booking, reschedule, and more.